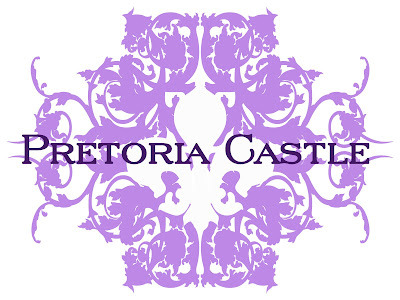 I mentioned a while back that I was working with Lilliana Vazquez and her partner, Lauren Merlino, to design a new logo for their custom luxury handbag line, Pretoria Castle. Well, the design is finally completed and I just wanted to share the final results. I absolutely love the way the design turned out, the ornate and delicate scroll pattern accented with a classic Fleur de lis was a perfect look to represent this pair of fashionistas and their fabulous handbags!